Swords & Sorcery: a blog: Germanpalooza! One of the most intriguing periods of history is the migration of the German peoples into Western Europe. Out of the mist-shrouded forest of the East came seemingly endless tribes. The Romans were able to hold them back behind the great rivers for years but in the end failed. In the end the Germans broke out, flooding into almost every corner of the faltering Western Roman Empire. While I'm not actually German, I'm entirely Germanic: English, Dutch, Danish, Norwegian, and Swedish. All my ancestry lies with those the likes of the ancient Saxons, Angles, Jutes, Franks, and Goths. All started as migrants spurred westward by still really unknown causes. Some have suggested extreme cold weather as an impetus for the migrations, others the pressure of other tribal peoples behind them in the East. I doubt we'll ever know for sure. There's a debate over whether the Germans' movement was an invasion or a migration. I think that the sacking of cities and the conquest of various provinces sort puts them in the invader category. 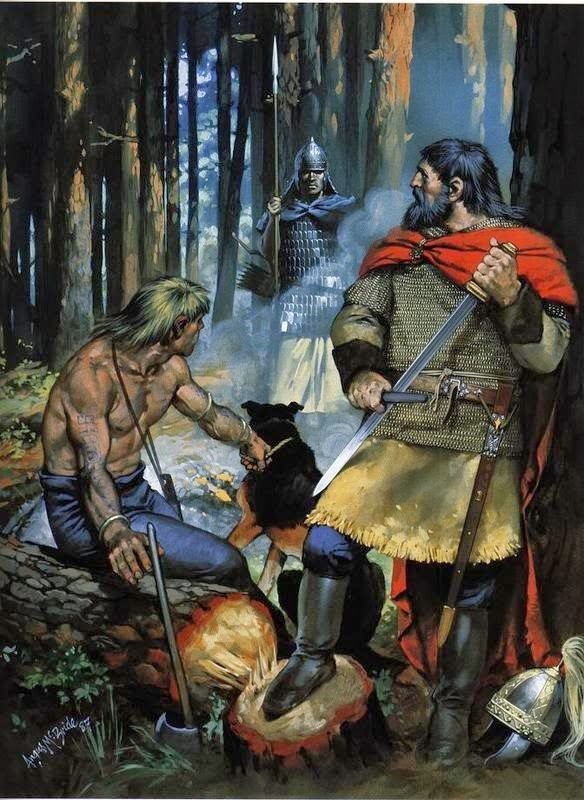 So between my ancient German roots and my later Scandinavian ones, my background consists of barbarians and reavers. Nice.